Place rotisserie chicken in a pot of water. Boil water adding carrot shavings and celery, a little onion and garlic for flavor. Strain chicken and place in fridge to cool. 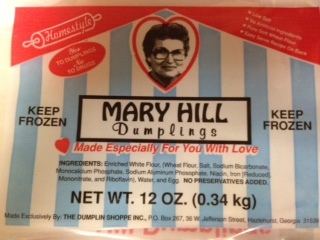 I use prepared dumplings from Mary Hill. After chicken is strained and in the frig. Bring water back up to a boil and add dumplings one at a time. Turn heat to low, cover and cook 30 minutes. A simple and quick dessert. 1 cup of peanut butter crunchy or smooth, and 10 tablespoons of butter or margarine adding a tablespoon at a time while mixing. 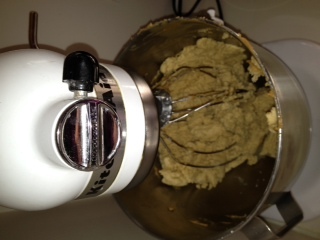 Add 4 cups of powdered sugar and mix till well blended. Chill for at least 30 minutes. 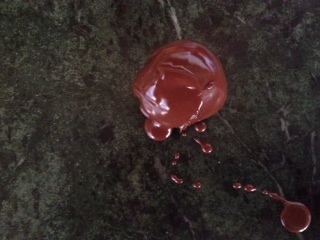 Roll into balls and dip in melted chocolate. 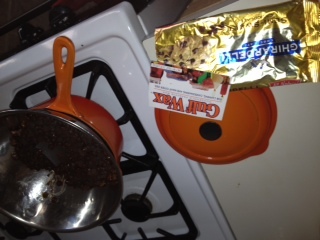 I use 12 ounces of Ghirardelli premium baking chips in semi-sweet and a 1/2 bar of Gulf Wax or paraffin. My double boiler broke so I’m making do with the mixing bowl above my pan. My Mom and Todd’s Mom made these and they are perfect to give as gifts for Christmas or Valentines Day. Looking for a recipe for prosperity and happiness in the New Year? Psalm 1 is a place to start. The Hebrew word ashrei, or blessedness comes from living out your life in accordance with God‘s will. Everyday wake and immediately meditate on God’s word. Praise Him! Begin your day in adoration of God the Creator of all. Pray about it, pray the verse for anyone your Father has placed on your mind. This morning I prayed for you and my family and friends. Here’s how it sounded…. Happy are the friends who follow my blog, my family, my friends they who do not follow the advice of the wicked or take the paths of sinners. Prosperity and happiness depends on your willingness to live in obedience to scripture. Humble in the Greek is translated poor in spirit — to be impoverished of self and concerned for the things of God. What is God concerned about? 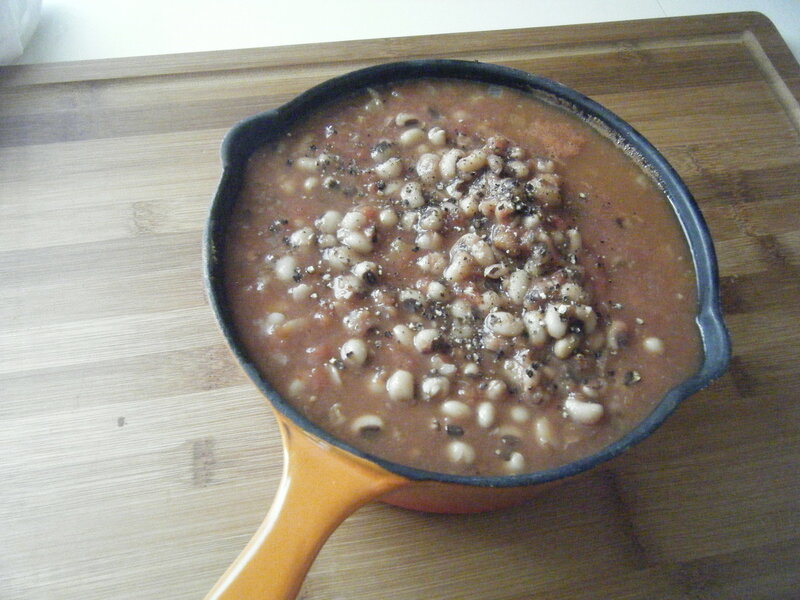 The world will tell you prosperity comes from a cooked pot of black-eyed peas on New Years Day. Our tradition in families differ, but cooking up a pot of these lovely legumes are a non-negotiable in southern families, ours is no different. I’ve misplaced my cookbook so this is my twist on the tradition. Soak and cook a couple of days earlier tossing off the dirt (your old self) and discard any particles(regrets) in the water. 1 small onion finely chopped and sautéed in extra virgin olive oil. 1 large garlic clove finely chopped and sautéed in extra virgin olive oil. Add a few small pieces of the leftover Smithfield Ham (Salt cured) before placing bowls on the table for your New Years Day Dinner. Serve the simple dish with Udi’s gluten-free dinner rolls, and a salad. Pull out all the stops with linens, candles, crystal and setting. A humble dish and a table set for a King. May you be favored and prosper in the New Year! May the Lord bless you in 2014 exceedingly and abundantly beyond your wildest imaginations! Thank you very much for taking the time to follow my blog in 2013. You have been a great blessing to me and I look forward to praying for you and writing more in 2014!